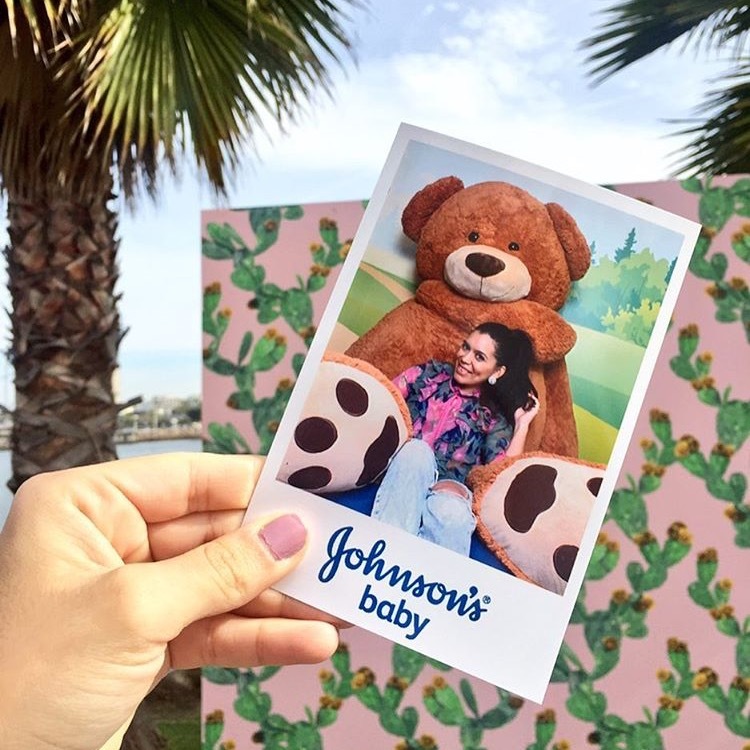 I am so happy that a lot of you (just like me) also use the JOHNSON'S® HEAD-TO-TOE® Extra Moisturizing Baby Cream on yourselves too and love it as much as I do. This cream is super hydrating, smells fresh and contains vitamin E as well as glycerin and baby oil to hydrate the skin and lock in moisture all day. It is pediatrician and dermatologist-tested and also gentle enough for newborns. Speaking of pediatricians, I had the pleasure of spending two days with Dr. Cotton, he is a well known celebrity pediatrician in Miami and he was a total sweetheart to work with. Here are some sneak peeks of the adorable suite. The vision was the world through a baby's eyes. And everyone LOVED it! It was complete with a hopscotch entrance and a giant beach ball as well as a super cute and squeezable giant teddy bear for photos ops at the photo booth. It was perfect and I am so proud to have been a part of it. I will be sharing a full video recap and I can't wait, so for now subscribe to my YouTube channel to get a notification and be one of the first ones to watch. The swag bags were filled with all of my favorite products including these pictured here. 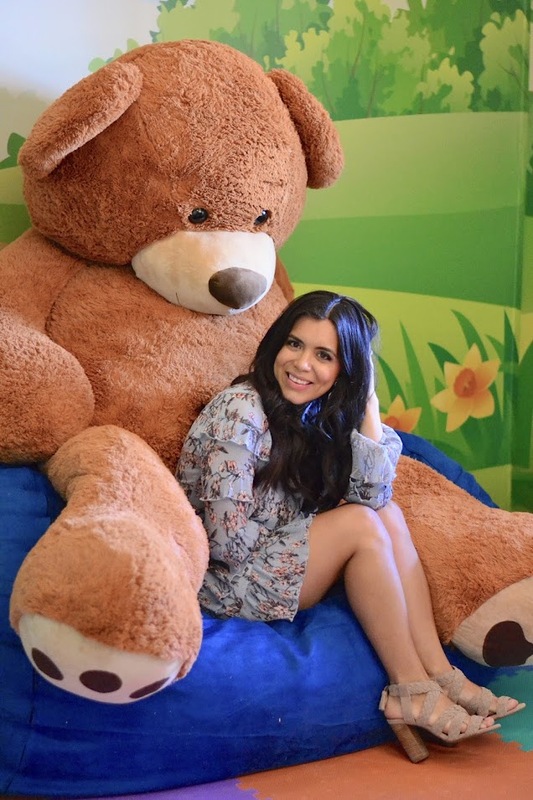 Posing with oh-so-famous giant teddy at our photo booth. Dr. Cotton, fue un placer compartir estos dias con usted! Divirtiendome con Marines Duarte, who is a pleasure to work with! I hosted the suite in the mornings and Marines hosted the afternoons. Dream team! Fue lindo verte, como siempre y compartir contigo! 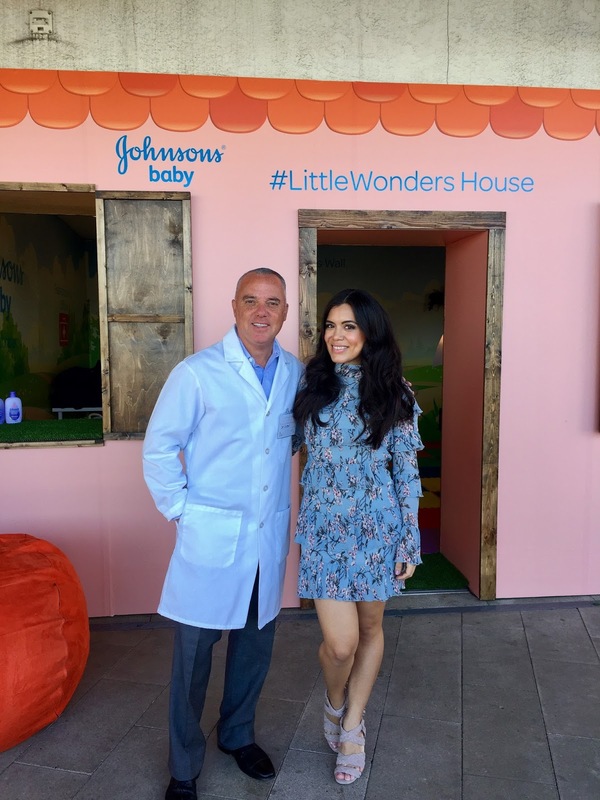 I hope you all enjoyed my little recap of my role as a Johnson's Baby ambassador at We All Grow Latina Summit this year. I can't wait to show you the video and hear your feedback. Thank you guys so much as always, without you none of this would be possible. Thank you so much to the JOHNSON'S® Baby team for always supporting me and believing in me. UPDATE: Watch the video below! And do not fret, this is not the end, I have more projects with Johnson's Baby in the very near future to share with you, so stay tuned on all my social channels to hear it first! This post is sponsored by Johnson's Baby. As always all opinions are my own.